An image of the Samsung Galaxy S10’s screen protector has been leaked via Twitter by Ice universe. The tweet in question features the lone word “Beyond,” which is the codename Samsung uses for the S10 line-up. As can be seen in the picture, the screen protector has barely visible bezels and there is no sign of the much-maligned notch. 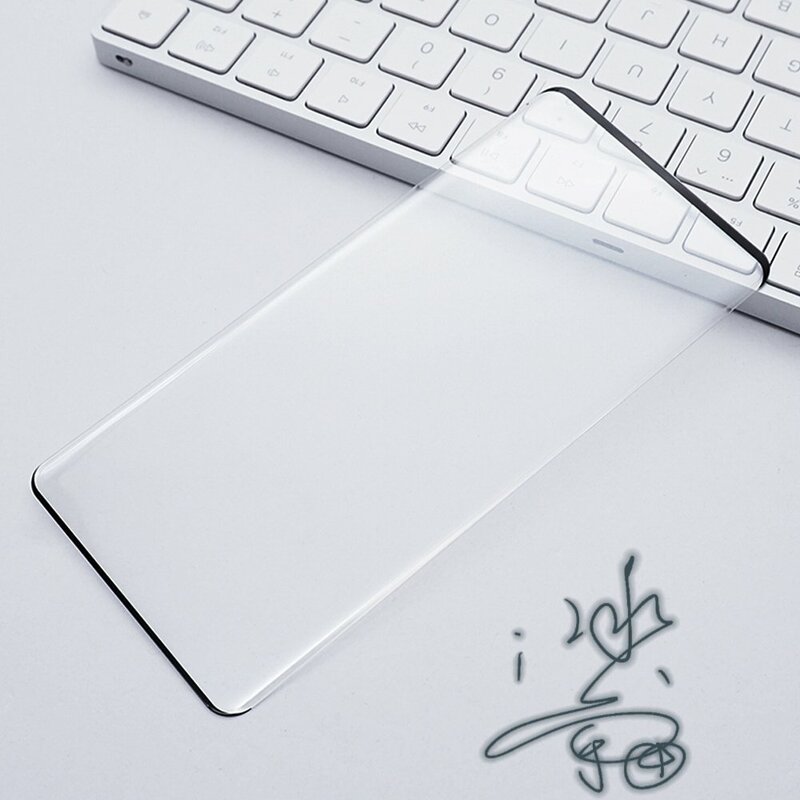 It seems serial leaker Ice universe has been busy again, tweeting an image of a smartphone's screen protector accompanied with the label “Beyond.” It is already known that Samsung refers to the upcoming Galaxy S10 smartphones with the “Beyond” moniker, so now expectant fans can have some idea of what the display might look like. Haters of notches and chins can rejoice, as neither of those contentious design choices appear in the image. Lovers of narrow bezels can also rejoice, as the screen protector has the thinnest “barely there” bezels possible. There’s no doubt Samsung has upped the ante in regard to design for the next round of Galaxy flagships. The numerous Galaxy S10-related leaks are starting to put a clear picture together of what users can expect from Samsung. Details about the likely camera setups for the phones have been published and there has even been word about some of the eyebrow-raising specifications (one model could feature a possible 12 GB of RAM and 1 TB storage). An impressive-looking Samsung Exynos 9820 chip is also believed to be in the mix for this highly anticipated series. It’s expected the South Korean manufacturer will reveal the Galaxy S10 devices in February 2019.